This Increase AdSense CTR article (from 2008) was updated April 2014. Since first writing this article (6 years ago) I’ve discovered a lot about increasing Google AdSense CTR and below I’ll include a few AdSense tips to make more money with AdSense. I’ve been developing AdSense templates for Blogspot and WordPress (mostly for WordPress) for around 8 years and my latest SEO WordPress theme is also an AdSense theme and includes support for the new mobile responsive AdSense ads. If you are looking for the best WordPress SEO theme that’s AdSense ready, the Stallion Responsive theme is for you: Stallion is also Chitika, Infolinks and Kontera ads ready and easy to add custom ads. One thing not to do to increase AdSense CTR is click your own ads, see my article on cheating AdSense and how to get your account banned!. I’ve use AdSense on a lot of sites and over them all my CTR was around 1.7% for May 2008 and thought I had a good AdSense CTR considering my niches. An AdSense CTR of 1.7% isn’t particularly high, but this includes sites in niches that are just not going to result in a great deal of clicks (like Classic Literature, CTR below 1%!). With this in mind I thought I was doing really well considering some of my sites/traffic. For example a site that gives me 5-6,000 impressions a day saw a CTR of around 2.7% for May 2008 and that’s an OK CTR. I think a lot about how to make money from existing traffic, in some respects it’s easier to make more money from existing traffic than gaining new traffic, and if you can increase revenue without increasing traffic, when you do increase traffic your going to do even better. All my sites are in English so not surprised at the traffic sources (English speakers), but it does mean I’m barely getting any money from the Bric countries (Brazil, Russia, India and China) which are upcoming economies who have a lot of potential for earning money in the future. Maybe it’s time to consider translations. Interestingly while I made £14,000 from the US, only made £350 from India despite having the same impressions from India as from Canada (£1,200 from Canada). Only made £60 from China, £60 from Brazil and £50 from Russia. That can’t be good, not sure what to think about the above? I set about looking to see if I really had the best ad unit placement etc… for my AdSense ads. First thing I did was remove the border from around AdSense ad units, I used to have a border that matched the colour scheme of the site, but it does make an AdSense ad very ad like. I considered it a trade off between revenue from AdSense and not destroying the user experience (blended, but not fully blended). I also assumed (I really have to stop making assumptions!) that the CTR difference between a bordered ad and a non bordered ad would be very small, (maybe a CTR increase of 0.1% which isn’t such a big deal) I was wrong! Removing Borders from AdSense Ad Units Increased CTR significantly! I don’t mind being wrong, in fact I embrace discovering a mistake since I can rectify those mistake and in the case of marketing a website make more money. I found after removing borders AdSense CTR increased by at least 1% on many sites! Yes, just one small change resulted in CTR increasing to 2.7% across the board (this was in 2008)! That’s a BIG increase in CTR and not the 0.1% I expected (glad I was wrong). The site I mentioned earlier with a CTR of around 2.7% now (2008) had a CTR around 3.8% (a little more than 1% increase in CTR). Checking back after a few months it looks like the 1% increase didn’t hold, was closer to 0.7 to 0.8% increase which is still good just for getting rid of borders. Cool, if I’ve made one big AdSense mistake like this one, maybe I’ve made more I can fix. I went back to basics and took another look at my WordPress AdSense theme output and looked again at the AdSense heat map (image to the right) and realized another possible mistake: read more about the AdSense heat map. Usually my websites (in 2008) had a triangular ad unit layout as indicated by the AD 1 (250×250 unit), AD 2 (160×600 unit), AD 3 (336×280 unit) signs on the heat map to the right. As you can see, this puts 2 ad units in the hot click areas, but one (the sidebar 160×600 ad unit) in the white/yellow (low CTR). Having two ad units in the orange/red areas is good, but I was looking for great CTR so wanted all 3 ad units in the hot click areas. I needed to try the sidebar 160×600 ad unit further up the page and on the left sidebar (many of my themes at the time were right sidebar only, I like that design). Fortunately I also have some WordPress themes with two sidebars (left and right) so could test this placement easily and in 2014 the Stallion Responsive theme I develop has 12 different layouts so could achieve any layout I could ever want. I tested this layout with the site I mentioned above that had just had it’s CTR increased to around 3.8% through removing the border. To my surprise the CTR again increased significantly, this time to above 6%!!!! Yes 6%, another 2%+ CTR from another relatively small change!!! These two AdSense changes increased CTR for this one site with 5-6K impressions a day (which is a lot) by over 100%. As I type this the site has had this layout for 8 days and other than yesterday when I had a server problem that caused my sites to be hard to access (might have had a hacking attempt on my server**) the CTR has remained around the high 5% to low 6% region (averaging just over 6% CTR). **Yesterday CTR dropped to just under 5%, but think I can safely ignore that data due to the server problems and so the 6% average CTR is for the other 7 days (if I take this day into account CTR averages at just under 5.9%). It’s early days for these changes, maybe next week they will drop, but I don’t think they will. I made similar changes to most of my sites to see if I could squeeze an extra 2% out of a few more sites. You’ll note I’ve got the 6% CTR layout on this site now. 2014 update: A lot of time has passed since I wrote the above and the increases have remained, I’ve made other AdSense changes (sidebar ad tends to be a square ad unit) and this has presumably helped as well (difficult to be 100% certain what causes a CTR change over years: even user behavior like ad blindness changes over that sort of period), my average AdSense CTR for the past 12 months (that’s a lot of data) is around 3.4% and remember this includes quite a lot of literature traffic which does not have a good CTR (above 1% is awesome for that traffic!). In some niches AdSense CTR is closer to 4.5%, really does depend on the niche, some traffic converts to AdSense clicks better than others. I will add the 6% CTR (which quickly dropped to 5%, the drop that I thought was server issues wasn’t server issues) didn’t hold long term, over the past 12 months the site in question had a CTR of around 4.3%. You’ll see people state they can get an AdSense CTR of above 10% without using tricks, I find this very hard to believe. You may find a site with little traffic could see a CTR of even 25% for periods of time, but when you look at a lot of data (a lot of AdSense impressions) I’ve never seen a site with an AdSense CTR of even close to 10% where ad impressions are above even just 10,000. If you have a low traffic site with 100 impressions over the period you are checking and you have an ad placement that might generate a CTR of 5%, just one visitor clicking 5 ads (this is not unusual) will increase the CTR to 10%. Scale up to thousands of impressions and it won’t remain that high. You can see this a lot if you check one days data and the ad impressions are low because it’s early in the day. Look at thousands of ad impressions to be sure what the true CTR is. IME if you can break the 5% CTR point you are doing really well. Note: for AdSense TOS reasons I’ve adjusted the CTRs a little (rather not have my AdSense account banned). It is not just about removing border, I have not any borders on adsense ads on my page , and still I have a low ctr, and my placement is according to AdSense heatmap. I try to stand up more my adsense ads those days, instead of blending. I will report results to you if you like. Anyway, great advices for beginners in this post ! 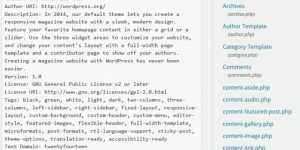 Any restriction with your theme? Like how many site I can install it? (I mean is there a restriction on installing on my websites, website I own..of course not on clients or anyone else websites). Is Stallion the best for Adsense and Clickbank? Each purchase entitles the user to use Stallion on as many of their own domains as they like. There’s currently no developer license. If I find a customer selling sites with the same Stallion ID that Stallion ID will be disabled. If you own 1,000 sites you need one Stallion ID for your entire network. If you sell sites running Stallion each site needs it’s own ID. Stallion is great for AdSense ads, the placements are varied and easy to use. Clickbank isn’t as good, though the placements are similar to AdSense the Clickbank contextual ads platform doesn’t perform anywhere near as well as AdSense or Chitika. I am really disappointed in how contextual Clickbank ads perform, I think the problem is three fold. 1st it’s not a cost per click (like AdSense) but cost per action model, so you need your visitor to click the ad and buy the Clickbank product to make money and with no preselling (essential for Clickbank affiliate sales IME) the click through rate is OK, but the purchase rate is very low. 2nd Clickbank doesn’t clean out it’s old users, some ads go to products/sites that no longer exist, worse others no longer use Clickbank as a payment processor! 3rd The ads aren’t actually ads per se, they are generated from the Clickbank marketplace data, so the Clickbank sellers didn’t write the text like an ad as such. Clickbank basically hasn’t taken this ad model seriously. I recommend using AdSense 1st, Chitika 2nd if you can’t use AdSense on a site and Clickbank if you can’t use AdSense and Chitika ads. I planned to add other ad networks like Clicksor but they didn’t scan their pop ups etc… for malware and when I tested them on a popular jokes site (thousands of visitors a day) the site was penalized in Google for I believe linking to malware via the pop ups!!! After removing Clicksor the site recovered in no time at all. Tested Bidvertiser and left the ads running for 100,000 impressions on the jokes site and earnt ~$3!!! It was a WTF moment when I checked the earnings! If anyone knows of good alternative ad networks suitable for adding to Stallion (AdSense type layout) let me know. Plan to do something with Amazon when I get around to it (so many things I want to do, so little time :-)). I try to figure out what to do with ClickBank……:), or how to make a use of it right in the site….. So right now…. I’m just not sure if I just want to do Adsense alone.. I have to think – or as I said – figure some things out. And yes…of course…I would never try to sell or even give it to clients……that’s why I said it in my orig, post. Safe CTR for AdSense Ads? What's a Good AdSense CTR? There are multiple factors that can increase/decrease your AdSense CTR, so there’s no absolute good/bad click through rate measure. Your website niche for example. I own classic literature sites (old books) and there aren’t that many AdWords advertisers willing to pay good money for ad space, this tends to drag down the AdSense CTR as the cost of ads is relatively low, so advertisers in barely relevant niches are willing to pay 10 pence for a click. 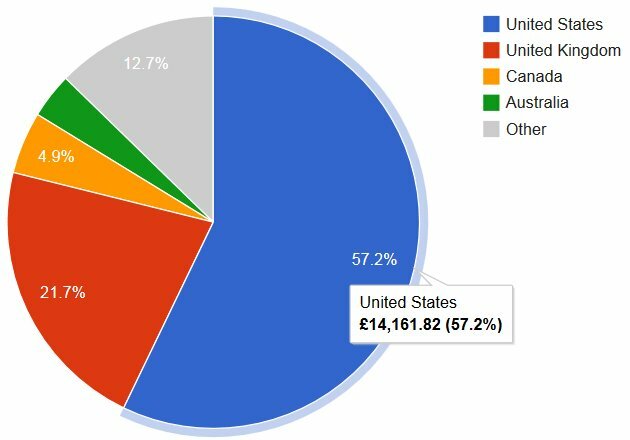 In comparison the “cancer donations” niche is a highly competitive advertising niche (bizarre I know), according to the Google AdWords Keywords Tool advertisers are willing to pay over £5.00 a click. 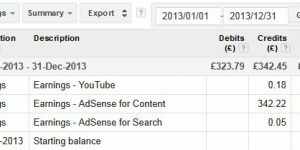 The AdSense publisher share for a content ad is 68%, we (AdSense publishers) don’t get all the above, 68% is ours so around £3.00 a click for a £5.00 AdWords ad click. My best day for this month was over £8 a click (advertisers paid Google AdWords over £12 for a click to Google that day), don’t get many days with clicks of that value. You aren’t going to find an AdWords advertiser paying for cancer donation traffic for a website that gives away free PayPal donation button images. This means when viewing content that generates cancer donation relevant AdSense ads they will be highly relevant to donating to a cancer charity: those looking to donate are more likely to click an ad. Then there’s your website content, is it engaging, do your visitors find what they were looking for or are they leaving your website via an AdSense ad because you didn’t answer their needs? The AdSense CTR on this website isn’t very good (below 1%). I expect this low AdSense CTR, my content is very detailed, answers user queries so there’s no reason for a search engine visitor (most of my traffic) to click an AdSense ad near the top of my content (best CTR ad area). If someone found this comment looking for “What’s a Good AdSense CTR?” article, I would hope they’d read this entire comment, by the time they get to the bottom of the comment they are highly unlikely to click the ad near the AdSense ad near the top. On the other hand if I wrote a cookie cutter article of a couple of hundred words that didn’t fill a webpage and the content didn’t tell the visitor anything useful, they would be more likely to click an AdSense ad. Made for AdSense (MFA) sites tend to be the ones with a high AdSense CTR, the content is low quality and the user leaves unsatisfied: the webmaster is happy though, they make more money.